While the ranch workers are busy with the winter feeding activities, they also start preparing for calving season, which starts towards the end of February with the first-calf heifers. 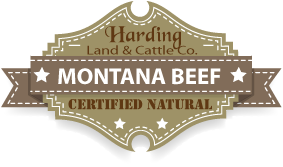 Harding Land & Cattle Company has a very nice enclosed calving facility that can typically accommodate close to 25 mothers and their calves at one time. Anywhere from 150 to 300 heifers are calved out each season. The two-year-old heifers require special calving attention due to the fact that they are carrying their first calf and complications are more likely to occur during the birth process than with the older, mature cows. A night-calver has the responsibility of watching during each night for heifers that may be having trouble giving birth. The mature cows start calving towards the end of the month of March. The Harding Ranch calves out around 1000 cows each spring. The RanchStar™ herd, which is around 250 cows, is calved out around the headquarters facility. The commercial herd of approximately 750 cows is usually placed in several pastures surrounding the Talquezal unit during each calving season. The commercial calves receive only one ear tag at birth; with the mother’s number on it. The RanchStar™ calves have to have their birth-weight recorded as well as an individual RanchStar™ number as they are managed much like a registered herd. 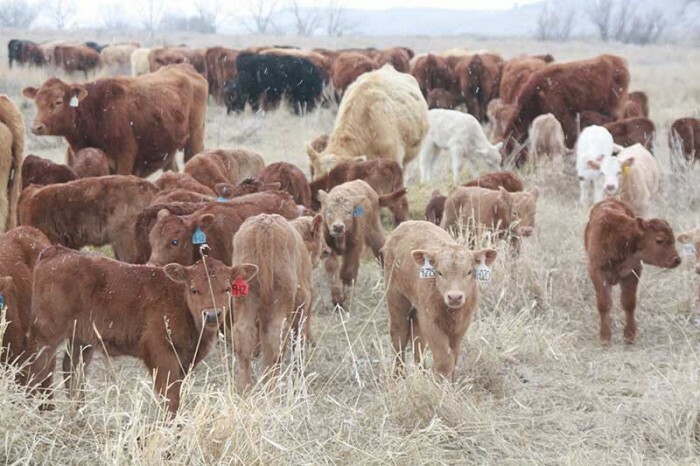 Any RanchStar™ bull calves weighing more than 95 pounds at birth are immediately banded (rather than castrated at branding time) to ensure that the high weaning weights are culled out of the herd.